The original J. Hector St. John De Crevecoeur was truly a unique man. His writings can be identified as travel writings or dream writings. He was the first writer to look at the colonies as "America". He explored the concepts of the American dream. He as an author gives the Americans identity, tolerance, and religious diversity. Anyone who travels through Orange County New York, where Crevecoeur spent most of his life, will notice a historical marker on the left side of the road about three miles past the town. The sign was placed there by the State Education Department and reads "Pine Hill Farm". Hector St. John De Crevecoeur, 1735-1813, settled here 1769 and wrote Letters from an American farmer. Pine Hill represents the start of a new life for such an incredible author, who became known very well throughout the world, in places including Canada, England, and even Vermont. His work created a great impact on the lives of the people that knew him and those that would have enjoyed the chance to be able to know him. St. John De Crevecoeur was born as Michel-Guiallme Jean De Crevecoeur on January 31st 1735 in Caen, Normandy. He was the son of Augustine De Crevecoeur, who was a member of the nobility of Normandy. His mother was the daughter of a prosperous banker. She had a very good education for a female in that time period. During the hot summer days, the family lived on a country estate in Pierre Pont a few miles from Caen. During the winter they just stayed in Caen. On occasions the family would visit Paris. When Crevecoeur was just a young boy, his father sent him off to a school called The Jesuit College Du Mont in Caen. Crevecoeur later told his own children how filthy the dormitories were, how confined he was to the school, how he was treated, and how the school fed and clothed him. As far as fun, Crevecouer's life was an uneventful one, firmly guided by his fatheris grave and autocratic rules (Philbrick 16). As a young man Crevecoeur found a great interest in antiques. This interest gave him an escape from his same old school and home routine. In 1754, when Crevecoeur was 19 years old, he and his father got into a dispute in which he was forced to move from home, and set out to England. There he fell in love for the first time with the daughter of a businessman. Before they had the chance to exchange vows, she passed away. Within a year after the heartbreak Crevecoeur went to Canada and enlisted in the Canadian militia. Because of his good math skills, he served the French forces as a surveyor and a cartographer. In 1754 Baron De Bretieul and the Marquis De H'oudetot recommended Crevecoeur for a commission as second Lieutenant in the unit of the French army, and in 1759 he was awarded for his courage and abilities in the Gazette De France. Shortly after, his enjoyment in the military field was forced to come to an end. He was wounded in the battle of Quebec and hospitalized. He sold his commission in October, and on December 16th he arrived in New York City. When he arrived to New York City, he wanted to bury his identity and create a new one. This was when his name change came into effect, and instead of being Michel-Guillame Jean De Crevecoeur; he began to call himself James Hector St. John De Crevecoeur. With a new name and a new life ahead he began to travel all over New York and Vermont as a surveyor and an Indian trader. In 1765 Crevecoeur met Mehitable Tippet. She was the daughter of a wealthy landowner. In that same year he became a naturalized citizen of New York. Four years after their meeting, on September 20th 1769 he and Mehitable were married. Destined to start a family Crevecoeur bought 120 acres of land in Orange County New York. This was the start of his new identity as an American farmer. In 1770 Crevecoeur named his property "Pine Hill". He built a house, and together he and his wife started to make their family whole. December 14th of the same year Mehitable bore their first child, a daughter who they named America Frances (Fanny). On August 15th 1772 their first son was born, Guillame-Alexander, whom they called Ally. Their family was completed on October 22, 1774 when Mehitable bore their last son and child named Philippe-Louis. Crevecoeur began writing essays and sketches of America in 1769. The first sketches of his writing were completed before 1774. These sketches were based on his travels to Jamaica, Bermuda, Nantucket, Marthais Vineyard, and the colonies of Virginia and South Carolina. His writings between 1774 and 1776 were a compilation of American manners, attitudes and experiences he had as "The American Farmer". 1777 and 1778 were the years that he wrote his last sketches. These sketches were descriptions of the devastating impact that the Revolutionary War left upon the lives of the Americans. There 12 were letters from the "The American Farmer" in all. Crevecoeur traveled back to New York City with his six-year-old son Ally in 1779. He was immediately arrested by the British and imprisoned as a suspected American spy. He was imprisoned for three months and released under surveillance. On September 1st Crevecoeur escaped and with his son in hand sailed from New York to Dublin. In 1781 he met a bookseller named Thomas Davies, and on May 20th he sold the first volume of his sketches. Though away from home making dreams come true, things at home were not going so well. Indians raided and burned down Pine Hill leaving his wife dead and his children under the care of neighbors. Fanny and Louis were adopted from a Boston man by the name of Gustave Fellows. Crevecoeur went months without hearing from his children, but they were finally reunited in Boston. Even with past devastation, Crevecoeur did not put his life on hold. In 1782 Letters from an American Farmer was finally published. He met a woman named Madam Dihoudetot who graciously took in Louis and Ally giving them the love and the education that they needed. 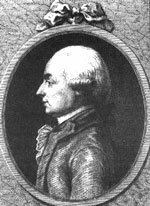 In 1783 Crevecoeur received appointment as Consul to New York, New Jersey, and Connecticut. At the same time, Crevecoeur worked on and completed a French version of Letters from an American Farmer. While still attending his duties and consul, Crevecoeur was again reunited with his children. Between 1785 and1787 Crevecoeur prepared an expanded version of his French Letters from an American Farmer. Again he traveled to New York City. On January 16th 1789 Crevecoeur was elected to membership in the American Philosophical Society, the same year the French Revolution began. One year later Crevecoeur's oldest child and only daughter married the French Diplomat named Otto. Between 1796 and 1800 Crevecoeur was invited by his daughter and son-in-law to live with them in their country home, but he decided instead to move with his father in Normandy who died in 1799. Crevecoeur began to work on a new book in which he entitled Voyage dans la Haute Pensylvanie et dans lietat de New York. His book was published in 1801. In 1802 Crevecoeur spent his summer visiting Fanny and Otto in London, where they offered him the opportunity to reside in their country house and he gladly accepted. In 1806 Crevecoeur's oldest son died. Still grief-stricken, in 1809 he moved in with his daughter where her husband was stationed as the French Ambassador. Because of the over take of the Austrian army, Crevecoeur was forced to move back to France. He lived peacefully in the home of his son-in-law where he traveled on occasions. While settled down, Crevecoeur wrote a memoir of Madam Dihoudetot who had passed away. In the fall of 1813 Crevecoeur died of a heart ailment that was discovered when he was arrested as an American spy. He was 78 years old and every moment of his life was dedicated to people, especially to the Americans. His work was truly a work of art.